Have you seen Glen speak? Leave a review. Once you hear Glen Hiemstra speak, the future will never look the same. People from 120 countries regularly turn to the internationally acclaimed expert’s website, Futurist.com, where he examines long-range future trends and preferred future planning. Over three decades, Glen has maintained a consistent on-the-money forecast of key developments shaping the way our world works. Starting in 1981, he was one of the first academics to research and publish on how the Internet would change society. As early as 1987 he was speaking on climate change. By 2001 Glen was describing peak oil and the coming energy transformation as the greatest economic opportunity of the next half-century. 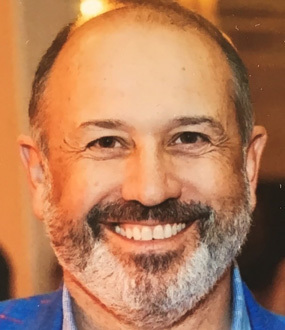 Glen’s career as a futurist began while he was a full time teacher and researcher at Whitworth University, the University of Washington, and Antioch University, Seattle. 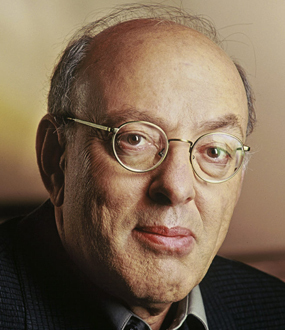 He has served as a media technical advisor working on several television productions, including with Steven Bochco Productions (creator of “Hill Street Blues” and “NYPD Blue”), among others. A popular author, his most recent book, Millennial City: how a new generation can save the future looks at the myriad challenges cities face as they strive to become more sustainable, and how the fate of that struggle will ultimately be decided by the youth flocking to those urban areas. A writer and blogger as well as a speaker and consultant, Glen is the author of Turning the Future into Revenue: What Businesses and Individuals Need to Know to Shape Their Future (Wiley & Sons 2006). Previously he co-authored Strategic Leadership: Achieving Your Preferred Future. Glen at Carter CenterAs a recognized expert in preferred future planning, Glen is a popular keynote speaker who can zero in on emerging trends in economics, demographics, energy, the environment, Internet and communications, science, technology, housing, and transportation. Glen goes beyond simple trend analysis to discuss the opportunities that we all have to shape the preferred future. 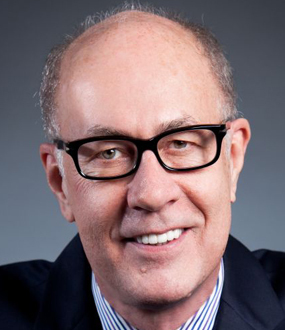 In his consulting, Glen utilizes tools such as environmental scanning, scenario development, whole systems perspectives, paradigm shifts, and analysis of organizational culture for managing change to assist enterprises to achieve high performance. As a media technical advisor Glen worked with Steven Bochco Productions (creator of Hill Street Blues and NYPD Blue), among others. He is often cited in publications such as The Wall Street Journal, Forbes, US News & World Report, The Futurist, USA Today, Business Week, the Economist, and the Los Angeles Times. 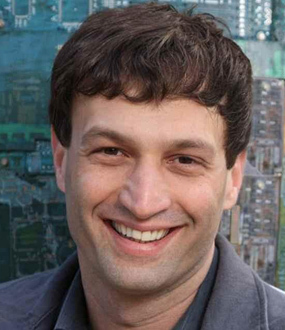 Glen was educated at Whitworth College, the University of Oregon, and the University of Washington. Glen Hiemstra jumpstarts minds with a single question: “What does your image of the future look like?” Delving deeper, he analyzes how our conceptions, desires, and fears of the future ultimately play a heavy hand in molding the present. For example, great innovators like Steve Jobs, Bill Gates, and Henry Ford were driven to create game-changing technology because when they imagined the future, they envisioned those devices and a reality ultimately altered because of them. 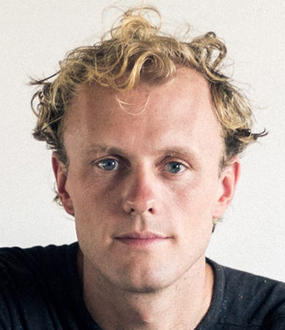 “If you want to change the world today, change the future,” Glen recommends. As an expert in preferred future planning and a popular keynote speaker, Glen Hiemstra zeros in on emerging trends in science, technology, economics, demographics, energy, the environment, and transportation. Glen’s programs are known for their ability to challenge, stretch and inspire. He goes beyond simple trend analysis to discuss the opportunities that we all have to shape a future of hope and possibility. His keynotes are customized for your audience. “Thank you for a Suuupppeeerrr job! Everyone commented on what an interesting and thought provoking keynote you gave at our Conference. 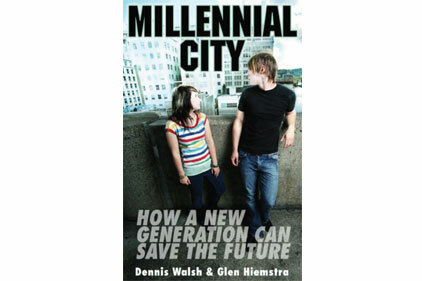 This book is about cities and young people and how their future is bound up together. In the way that we envision and build and modify and retrofit the cities of the future we can unlock the mystery of whether we are, quite literally, going to make it or not. Canadian sustainability futurist and expert Dennis Walsh, and American futurist and Founder of Futurist.com Glen Hiemstra observe that our great human migration to urban areas continues, and that city life is especially attractive to the youth of today. The vitality and promise of the Millennial Generation and those who will follow is not lost on cities, which compete aggressively to attract them to live and work in metro areas. In Turning the Future into Revenue, Glen Hiemstra, founder of Futurist.com and noted expert on emerging business opportunities, explores how our changing world will transform private enterprise and public policy. From shifting demographics to global warming to new energy policies, change is coming. 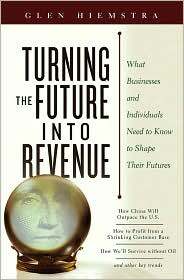 Turning the Future into Revenue shows how these new realities can be turned into profitable new ventures.